We've compiled her list of criteria and a scoring system – and set out to find the best falafel in the Boston area. Despite our longstanding and widespread falafel fever, I often find people don’t know what it actually is. Let’s start at the beginning. Falafel is a fried street food from Arab countries of the Levant (including Lebanon, Palestine, Jordan, and Syria), typically eaten on its own or in a pita bread pocket sandwich. It is made by blending garbanzo beans (aka chickpeas), garlic, parsley, onion, sesame seeds and a hand full of spices into a coarse paste, which is then shaped into a ball with a special tool – similar in concept to an ice cream scooper – and then fried. 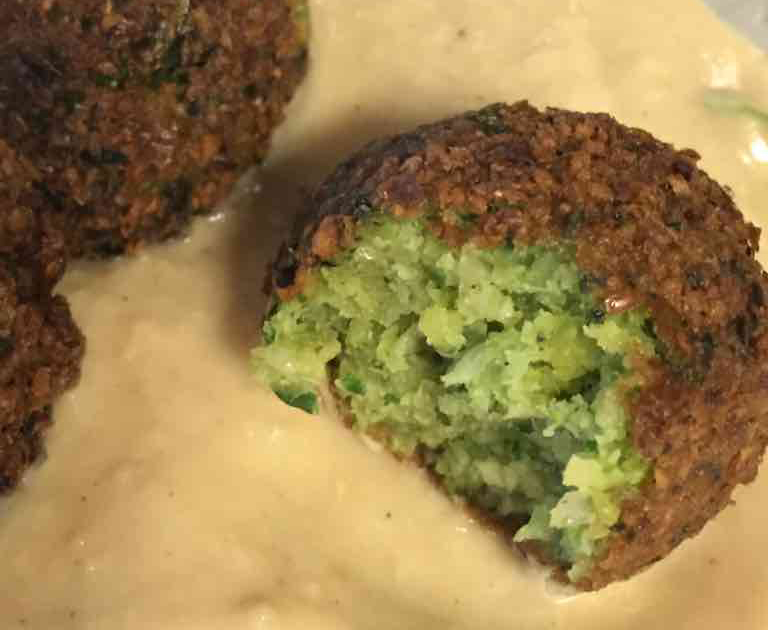 Much like a french fry, the tater tot, or other classic deep fried items, fresh falafel will have a crunchy outer crust and a soft, fluffy interior – definitely not mushy, nor dry and cakey. It should be flavorful and aromatic, which will depend on the ratio and freshness of the ingredients. Generally, it should taste like garlic, parsley, cumin and other spices. I like mine with a little kick, but I know not everyone shares that preference. With this in mind, I compiled a set of criteria and scoring system (1-worst, 5-best) and set out in the Boston area to do a little tahini dipping. In order to avoid any disguise by sauce – and keep this purely scientific – I ordered just falafel with a side of tahini at each spot. Cafe Beirut falafel came straight from the fryer - much appreciated. It had a really nice outer crunch, albeit a bit oily. Would have loved a thicker tahini sauce and bolder flavor. Moody’s is an institution. Open late, simple format, and most importantly, consistent. Falafel here is a bit miniature, though not quite as small as the falafel at Clover, another falafel locale in Boston. While it had a nice crunch, it was a bit dense on the inside. While it wasn't straight from the fryer, Garlic'n'Lemons was the only falafel with any bite on this list – and I like that! I figure if you catch them at the right time, you could have a superior falafel experience. 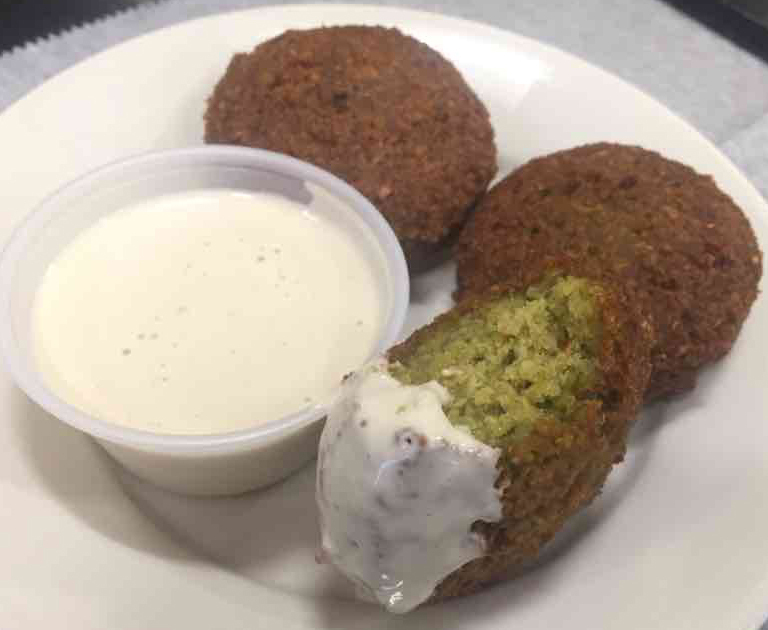 When I walked into Falafel King, none other than Jesus himself was at the fryer, shaping and dropping falafel – while Falafel King is Iraqi owned, it is Latino operated. Another staff member handed me falafel dipped in hummus as I waited to order. A thick outer crust makes for a stronger than necessary crunch, but a very flavorful falafel here. Also of note – Falafel King’s tabbouleh caught my eye and so I decided to break my falafel only rule. I’m glad I did. I learned that Iraqi tabbouleh (as well as Lebanese), includes allspice – genius. Pita has the outer crunch down pat — not too thick (a result of over-frying), but still perfectly crispy. The inside was also pretty fluffy, especially for not having come straight out of the fryer. I do want to note that Pita is the only place where falafel is really green on the inside, as it should be! 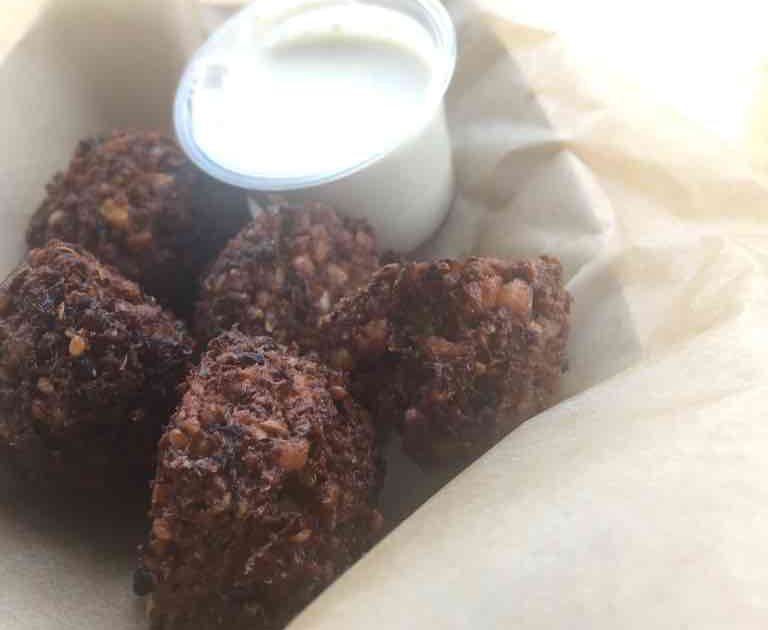 While “chickpea fritter” is what appears on the menu at Clover, if you order “falafel” at the counter, they don’t bat an eye. Round, fun-sized, and a little lemon-y, the lab’s falafel are a bit unorthodox, though their tahini is on point. If you’re reading this Clover, consider bringing some garlic and parsley to the party. 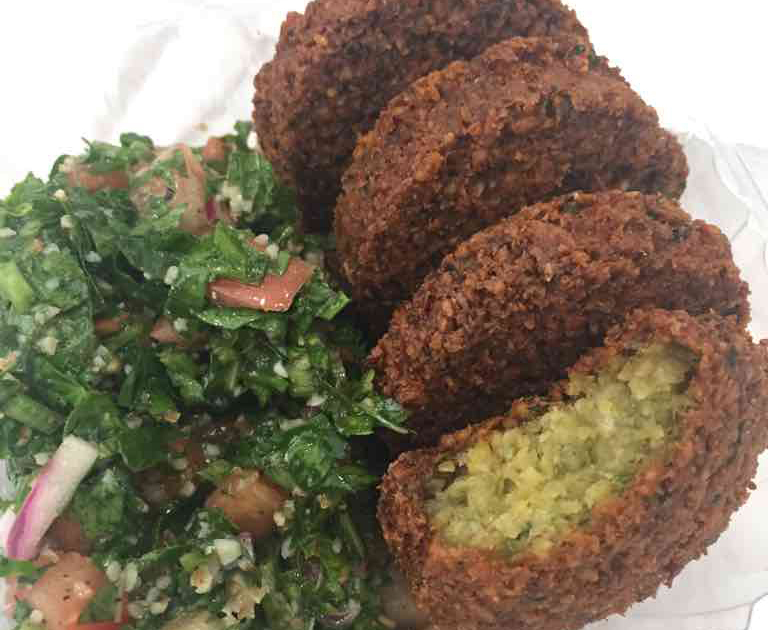 How can Boston take its falafel to the next level? I’d say the responsibility is half on the patrons. Most mom and pop falafel shops don’t see enough demand to warrant a steady flow of falafel frying. With more falafel enthusiasts, I suspect the oil will stay hot and falafel will be made to order, as it was meant to be. There’s good incentive to add falafel to your meal-on-the-go options. Though fried, falafel is made of the mighty and nutritious garbanzo bean. Fun Fact: in Arabic, “hummus” doesn’t just refer to that ethnic party dip that Americans insist on bastardizing repeatedly. It simply means “garbanzo beans”, meaning falafel is just "hummus" in a different form. So, now you know. Go forth, and enjoy your falafel!